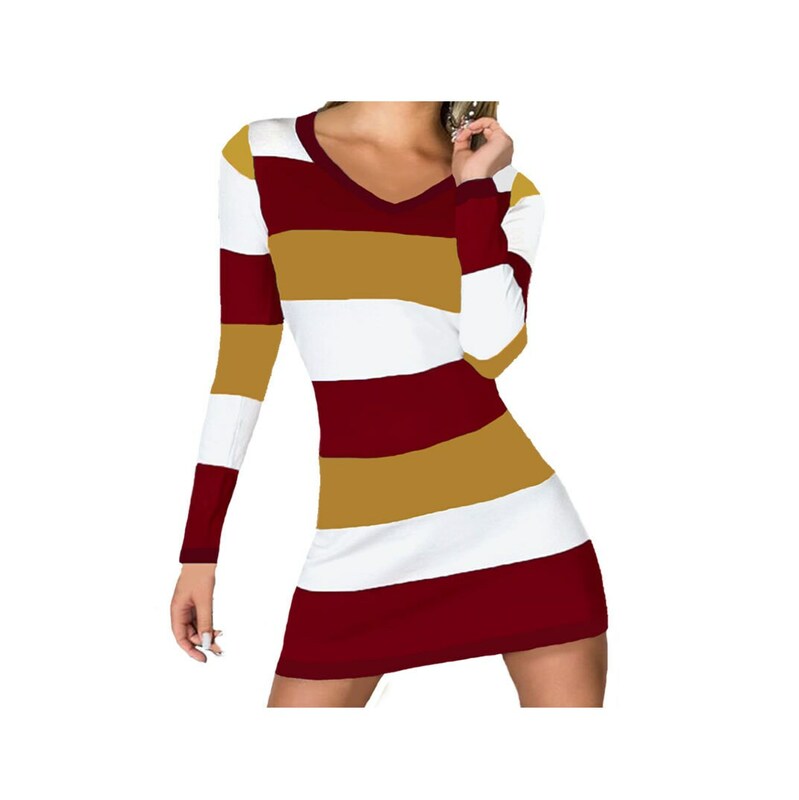 Stand out in a crowd with our Deep Red (garnet, maroon, burgundy) and Gold stripe spirit dress. Perfect for crisp fall weather, our exclusive dress features front and back stripes and V-neck. Spandex blend. You may include your measurements and desired length.